Doors open at 6:30pm for general admission. You do not need to bring a ticket with you. Sign in will be at the door. 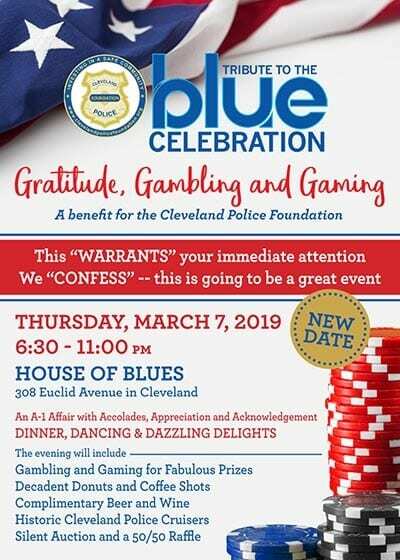 For more information or sponsorship opportunities, please contact the Cleveland Police Foundation at (216) 623-3333 or email mjech@clevelandpolicefoundation.org. Our sincere thanks to our 2017 Sponsors and Friends. Through their support the CPF is able to fulfill its mission in furthering the charitable endeavors and community outreach initiatives by the Cleveland Division of Police.